The holidays are never complete without greeting cards and mail sent through the United States Postal Service. 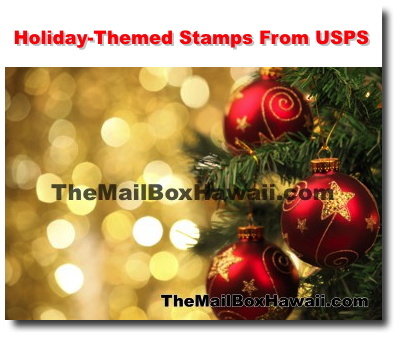 And with it come festive, holiday-themed stamps from USPS. From the ever popular Holy Family and Christmas Magi to Holiday Baubles, Geometric Snowflakes to the classic Poinsettia stamps, you know it's the holidays when you get mail with these stamps on the envelope. Other designs also celebrate Kwanzaa and Hanukkah and come in unique and colorful designs. Visit our website for the latest postal news and mailing resources.